We are now entering the phase that supports the core of your business: Content! This is the fun part and at the same time, a bit scary. I can totally understand how you feel as I used to feel lost not knowing what to write for my website. So, let’s get over the fear and get down to work. Trust me; it’s not going to be too bad. You will get used to writing as you create more and more content. 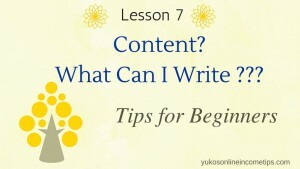 In this lesson, I share tips for writing effective content for your website. Before we proceed, here are the six lessons we have covered so far. So you should have these two pages published on your website by now. In Lesson 6, we discussed the importance of structuring your website in the manner that is easy for visitors and Googlebot to navigate and find all of your pages. 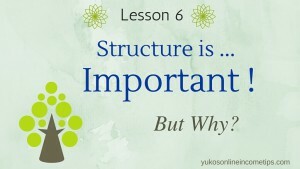 If you have planned your site structure (organization & menu structure), according to the lesson, now you should have main categories in place. Under each category, you start adding articles (content) relevant to your niche. There are a number of elements involved in creating an excellent article, which I am going to discuss more in future lessons. Today in this lesson, let’s learn the basic steps and fundamental aspects you need to know as you create each content. Content ideas are everywhere. You will find topics to discuss through reading, watching TV, conversation with friends or even browsing FB posts on your phone. If you ever get stuck, Google some key terms related to your niche and visit a few websites to gain some influence. Bear in mind, it does not mean copying. The purpose here is to come up with topics that are relevant to your niche. Your content is the core of your business. Do research. Write down some ideas based on your research and brainstorm. We covered keyword research in Lesson 2 when we attempted to pick a good name for your website. You have to repeat the same task for every content you create to select a good title for your article post. In the online business world, keywords play a huge role in the success of your website. Keywords are phrases or terms that people place in the search bar to look for information online. So, having those phrases in the title means more chances for your content to be discovered by online searchers. How do you find those keywords? 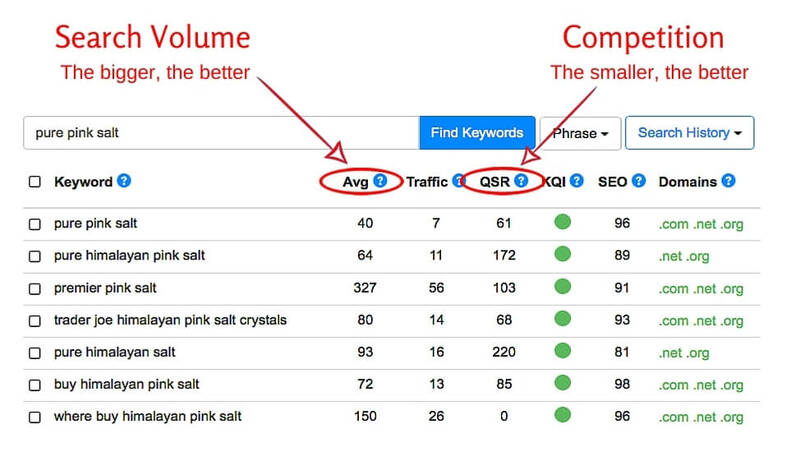 You need a good keyword tool that tells you search volume and the number of competitors for the keywords. 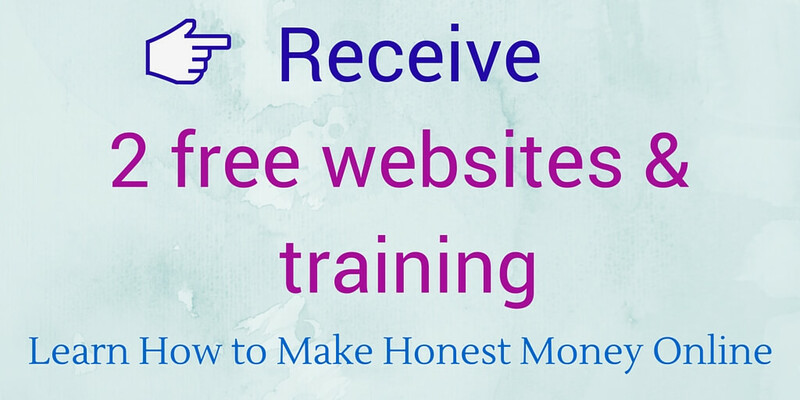 This is where you have to invest a little money if you are serious about monetizing your website. I pay $19/month to use a tool called Jaaxy. Thus far, I find it most beginner-friendly and effective to find keywords that help my content with Google rankings. The name of my new website is Pure Pink Salt. I picked the name based on keyword research I performed in Jaaxy. As you can see below, Jaxxy clearly indicated that the phrase Pure Pink Salt is a better keyword than “pure himalayan pink salt” or “pure himalayan salt” in regards to its search volume and competition. If you want to learn more about how to look at the data in Jaaxy read this review. 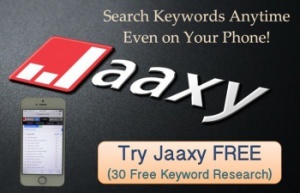 You can also try 30 free keyword researches for yourself to see if Jaaxy works for you. Once you select a topic (title) based on a keyword research, now it’s time to write. Always ask yourself what values you would add to reader’s lives by writing that particular content. How positively would your post affect or influence those who read it. Are you providing new knowledge? Are you teaching new skills? Are you solving problems they may have? Are you sharing hard-to-find information? If you were a reader of your post, would you feel it was worth your time reading it? These questions help to keep an objective eye on your creations and better your content. There are technical things you should implement in your post for the sake of rankings, which I will cover in the lesson “On-Page SEO.” However, your focus should never be writing for Google. Because Google never buys from you. It’s real humans who read your post, trust you and buy the products you recommend. To earn income, you are going to promote products and services within your niche. In order to do that, first you need to make sure that your content will have an audience and will be a good experience for the audience. So, here is the #1 rule for your content creation: Always write for your readers. Do not ever copy other people’s content. Write your own. Duplicated content hurts your rankings and does not benefit your online journey in any way. As I mentioned earlier, it is a good practice to visit other sites in your niche and get influences from them. In fact, I suggest reading lots of posts written by others and research what topics are NOT being discussed within your niche. 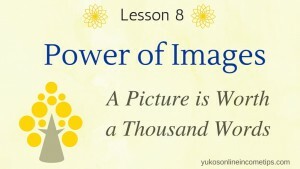 You can study lots from other websites. Just do not copy. Another great way to be original is to tell your own story. Share your own experiences in your content. Keep in mind; you are not writing a novel here. Try not to perfect it at first. You can always go back and tweak your content later. Be yourself and write from who you are. Be original. This one correlates with writing for your readers. Write your content in the manner that is easy on the readers eyes. Online readers are skimmers. Do the following and make it easy for them to skim through your content. As a start to your journey as a website writer, let’s create a page that supports the core concept of your website. A page that is reflecting the website title. We have already performed a keyword research on the title of your site (domain name) in Lesson 2, so no need to repeat that again for this particular article page. In my case, the title of the new article will be “Pure Pink Salt” which is completely matching my domain name. The purpose of this article is to tell your audience what your website is all about. What information will they find? How is it going to help them? You can also share personal stories as to how you got into the industry (niche) and what experiences you have. If it’s hard for you to write under the website title, it doesn’t have to be exactly the same but try your best to make it at least similar. Also, remember that you can always add a subtitle after the main title. 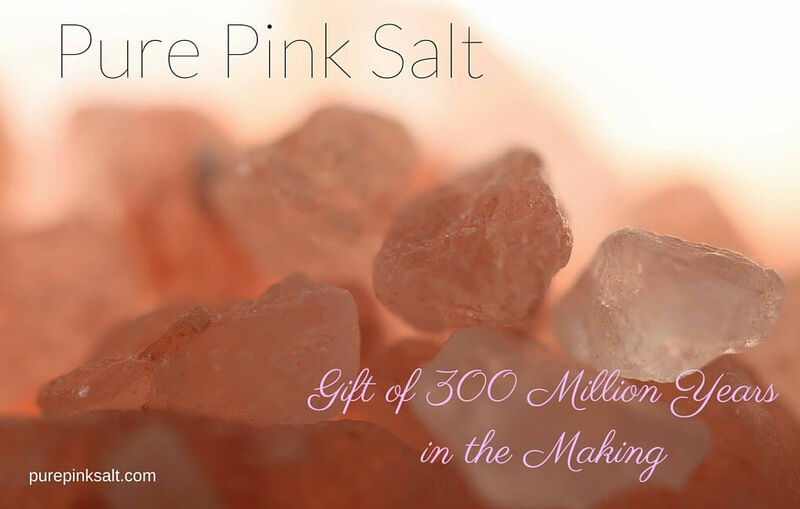 Here is the new article page I created for my website, Pure Pink Salt- Gift of 300 Million Years in the Making. Content is what makes your website worthwhile and will distinguish you from others out there. The creating process gets easier only through practice so keep working at it. Write about things that are a value to your readers as they are going to be your potential customers. Let’s not forget that. Also, don’t try to perfect your content from the beginning. The beauty of a website, unlike a printed book, is that you can always go back to pages that are already published and update them. Your content can evolve as you get more experienced in writing, and it will be perfected over time. I hope this lesson helped you understand the fundamental elements and tips for content writing. As always, feel free to leave any comments or questions below. You are welcome to leave the link to your first article page too. It may bring some traffic to your website as backlinks (more on this in future lessons). 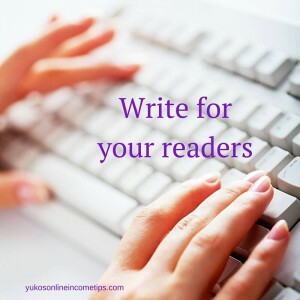 Be the first to comment on "What to Write for My Website? – Tips for Content Writing"